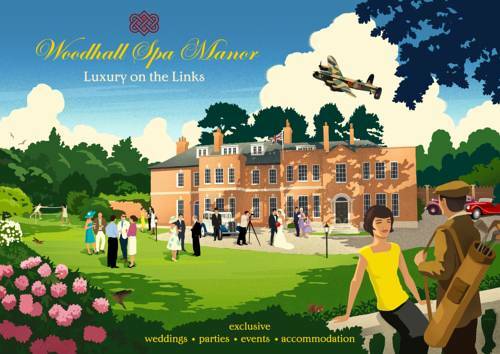 Nestled between Hotchkin and Bracken Golf Courses, Woodhall Spa Manor is idyllically located within 3 acres of leafy grounds. The Manor offers sweeping views across the course and is a minute’s walk from the first tee of each course. 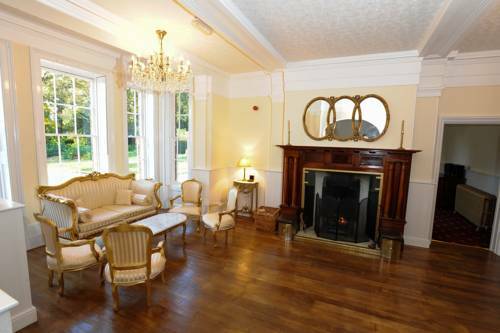 The Manor dates back to the Edwardian period and has been fully restored, whilst retaining many original features. All rooms are en suite, and each comes with luxurious touches such as memory foam mattresses, goose down duvets and fluffy bathrobes, slippers and tea/coffee making facilities. A full English breakfast is included in the room rate. 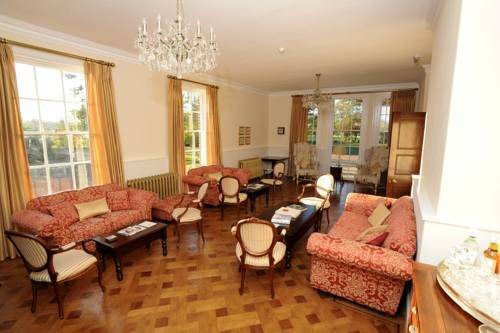 The Manor is ideally set up to host functions, as it has a full alcohol, music and events license and is also licensed to hold civil ceremonies in the grand Queens Room. 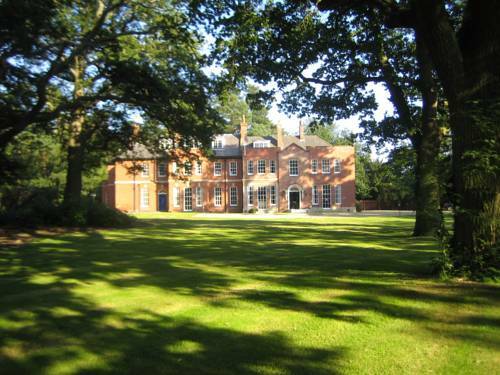 Several restaurants and bars and located a 10-minute walk away in Woodhall Spa. The Kinema in The Woods is 0.4 miles from the property and offers a unique movie experience. 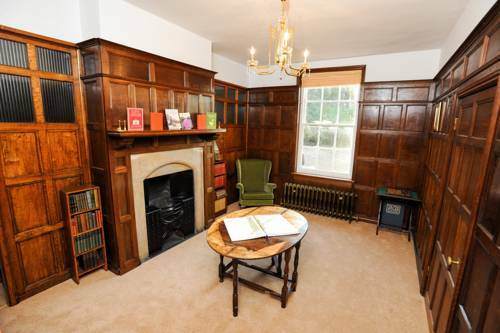 Woodhall Spa Cottage Museum is a 6-minute walk away The Manor, whilst for hikers, the Viking Way runs directly past the back wall of the Manor. The ethos of The Boston Golf Club is to continue the traditions and values of the long established game of golf. In this way an environment is provided where golf can be enjoyed by both young and old alike, both on the course and in the Clubhouse. The Boston Golf Club offers a comprehensive programme of well organised competitions for all golfers. Individuals and societies welcome, Extensive practice grounds and a fully stocked professionals shop. On one side is the large all seater CO-OP Community Stand. This large single tiered covered stand opened in 1995 and has a capacity of 5,700. Opposite is the Lincolnshire Echo Stand, a small old looking covered stand (although in fact it is comparatively modern being built in 1987). It is seated, but only runs half the length of the pitch, straddling the half way line and hence there are gaps at either side. One gap has now been partly filled by a tiny covered Family Stand. Both ends are small covered affairs. The IMPS Stand is all seated and has a row of executive boxes running across the back. This stand has a couple of supporting pillars at the front. The other end is the 'Stacey West' all seated, covered stand, for home supporters. It was named in memory of the two Lincoln supporters who lost their lives in the Bradford City Fire at Valley Parade in 1985.